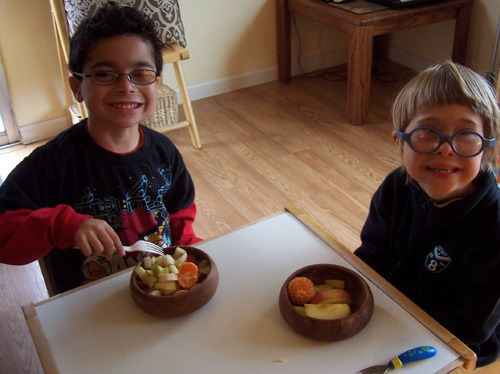 What happens when two Montessori moms, their kids, and a bowl of fruit get together? Watch and learn! (OK, that's my son's job, but read on!) 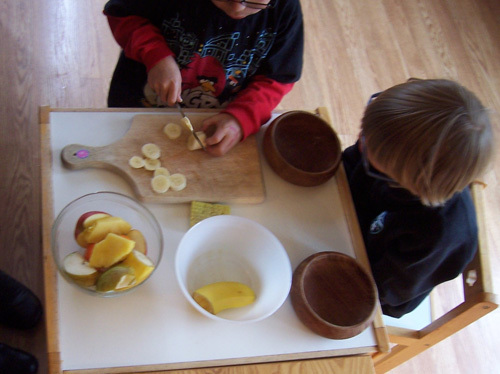 JG and JN are making fruit salad today. JG has a turn while my son JN watches. 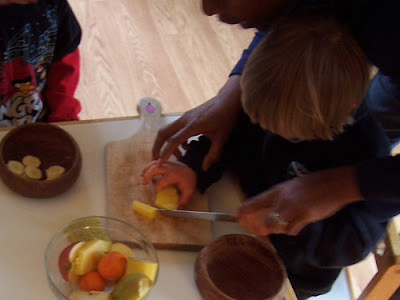 Since JG is our guest, he gets to go first, plus, he is helping JN to learn how to cut fruit. JN learns by watching, then trying it himself. 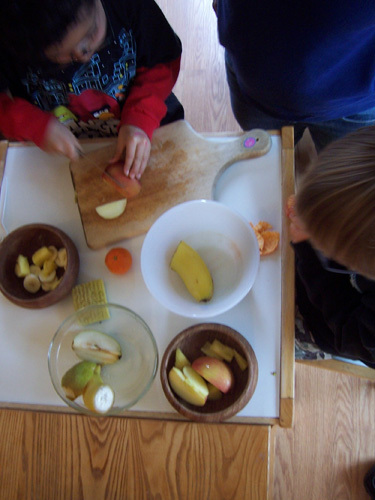 We have a cutting board, steak knife, two small wood bowls, a bowl for fruit to cut, and a compost bowl for peels and seeds. JG is carefully sliding the banana off the knife and onto the cutting board, notice how intently JN (my son) is watching his buddy JG! JG's mom is showing JN how to cut by putting her hands on JN's hands (called hand over hand). This hand over hand method is common when helping children, like my son who has Down syndrome, do fine motor tasks. It is less common in Montessori classrooms. Y and JN will slide the fruit into JN's bowl. Y is giving JN extra help, as the steps involved are a challenge for my son. 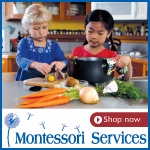 In a Montessori environment, the child typically learns with less (if any) "hands on" help. Now it's JG's turn to cut more fruit. By JN watching his buddy JG, JN is learning by observing. 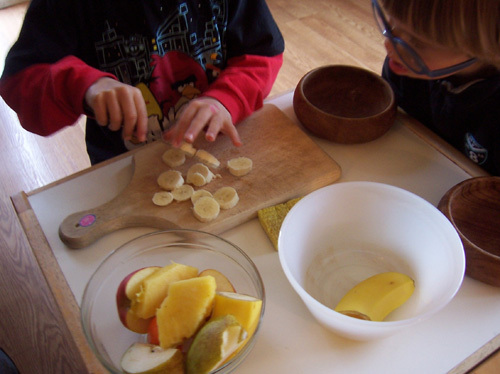 This method of learning by watching is common in Montessori classrooms. You can also have an older sibling model or demonstrate an activity at home to a younger sibling. In fact, children prefer learning from each other. And the older sibling is learning leadership skills. 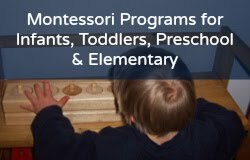 In a Montessori preschool, the five- and six-year-olds are the leaders of the classroom. JN is patient enough to watch JG, JN looks up to JG as they are buddies (since they were ten months old) and they are the same age. If I were showing my son JN how to cut with a knife, he'd be very impatient I assure you! So using older siblings, or an older friend, is a great way to help younger siblings and younger children. Ta-da! Time to eat! To see ALL the pictures (there are ten in all, plus more of my comments) go here!